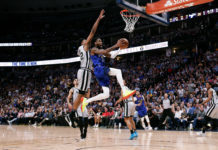 After 24 games, a 10-14 record isn’t normally something to write an entire column about, but that’s exactly what the Denver Nuggets deserve. 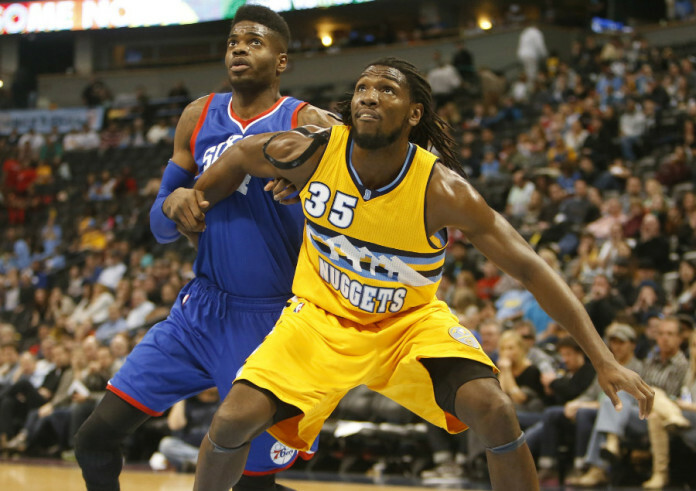 Because, contrary to popular belief, the Denver Nuggets are exceeding expectations. Before the season, Vegas had Denver pegged as a team that would win 26.5 games, and I explained why the best financial decision you could make would be to hop on a flight, get yourself to a sports book and bet your life savings on the Nuggets’ over. Today, the Nuggets are on pace to win 30 games, and I feel more confident about that decision than ever. And no, it’s not just because they’re on pace to do so nearly a third of the way through the season; it’s because the team we’ve seen over the last two months isn’t nearly as good as the team we’re going to see over the next two. The main reason for that is obviously injuries. As I’ve covered numerous times, the Nuggets have been stricken with the injury bug worse than about any other team in the league. Already, the Nuggets starting roster (with Jusuf Nurkic at center) has missed 35 games combined, and if you include Wilson Chandler and Joffrey Lauvergne, both of which were projected to be major factors in the Nuggets’ rotation, that’s another 38 games. But it’s so much more than just injuries. This team is still in its infant stage. 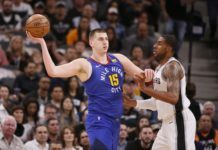 Between Emmanuel Mudiay, Gary Harris, Joffrey Lauvergne and Nikola Jokic, four of the Nuggets top eight rotation players are in their first or second year in the NBA; throw in Nukic when he returns, and that makes five. It takes time for players that young to learn how to play winning basketball, especially when they’re playing on a team coming off its two worst seasons in a decade. But even then, they’ve been great. Really, aside from Mudiay, who’s been in a severe shooting slump over the last few weeks, every one of those guys has blown away expectations, and even Mudiay is still leading all rookies in assists and is fifth in scoring. Nobody expected much from either Jokic or Lauvergne heading into the season, but through 24 games, the two are currently leading the Nuggets in PER (Player Efficiency Rating). And after a disappointing rookie season, Gary Harris has taken his game to another level, increasing his minutes, three-point percentage, assists, rebounds and points by over 200 percent. Not to mention, head coach Michael Malone has been in Denver for just sixth months, half of the roster he planned on playing to start the season has been resting in the infirmary and he’s having to teach a whole bunch of 20 year olds what it means to be a professional athlete. For Malone, taking on this gig was anything but a turn-key opportunity. We’ve seen what this team can be in the last week, as they’ve gone 4-1 and played some of their best ball in over a year, and I only expect that to continue. 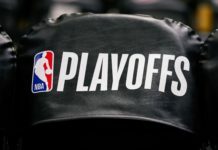 And let me bring up one very important fact that we’ve all seemingly overlooked: The Denver Nuggets, despite suffering through a painful eight-game losing streak last month, are a half game out of the playoffs! To reiterate, the Nuggets are now over a quarter of the way through the season, the team has dealt with more injuries than nearly every other team in the NBA, they’ve faced one of the league’s toughest schedules and they’re less than a game out of the eighth seed. So let’s see if we, as fans, can’t match what the Nuggets are doing and start exceeding expectations ourselves. There’s no reason a young, exciting basketball team like this should be last in attendance. Let’s fix that.